Varicose veins – the bluish raised veins that occur mostly in the legs, can be quite unpleasant to look at. They may also be associated with pain swelling and scaly skin in the affected area. Varicose veins are caused by a variety of factors but the most common one is standing for lengthy amounts of time. They can also be exacerbated in overweight, pregnant or aging individuals. 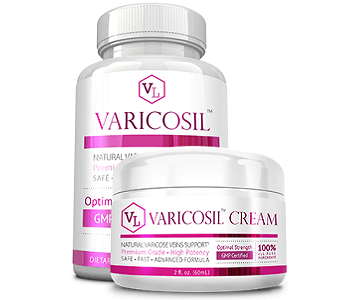 There are some natural products available that are made to treat varicose veins. One of these products is Healthy Choice Naturals Leg and Vein Support. We examine this product in our review and determine if it is the ideal treatment for varicose veins. In order to treat varicose veins, inflammation needs to be reduced in the area affected. Blood flow needs to be increased and tissue remodeling needs to occur as well. The supplement contains ingredients which all have a degree of antioxidant abilities. Antioxidants decrease inflammation by removing the chemicals that cause it. These chemicals are free radicals and they cause tissue damage and inflammation. All the ingredients have some degree of antioxidant ability, but vitamin C is the main antioxidant in this supplement. Two other important ingredients, diosmin and hesperidin help to remove all the blood vessels by inhibiting an enzyme called vessel phosphodiesterase. By inhibiting this enzyme they allow the smooth muscles in the vessel walls to relax and blood flow to improve. This supplement contains a proprietary blend of grape seed extract, pine bark extract , rutin, quercetin and silicon. This proprietary blend inhibits the proteins (matrix metalloproteinases and collagen) which are responsible for the inflammation and fibrosis (hardening) in the area. The supplement is delivered in capsule form. 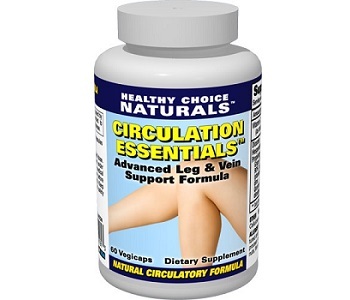 Two capsules of Healthy Choice Naturals Leg and Vein Support can be taken orally per day. It is suggested to take them with a meal. The ingredients present fall within the range of optimal doses, except this cannot be determined for the proprietary blend. This product has not been tested for safety on pregnant and breastfeeding mothers all anyone under the age of 18. Any potential users in the above categories or those who have a chronic medical condition should consult a physician before using the supplement. One bottle of will cost $23.00, unless purchasing a bulk supply. A bulk supply of two costs $19.50 each, a package of three costs $18.00 each, of six costs $17.00 each and of twelve costs $15.00 each. These prices are exclusive of shipping and taxes. Each bottle contains 60 capsules which equates to a month supply. This product is covered by a 90-day guarantee. This means that if the product is returned within 90 days of purchase opened or unopened, the customer will receive his/her money back. Items can be returned if the condition is unsatisfactory or the results are not as expected. The manufacturer provides anonymous testimonials for this product. We don’t find these to be particularly reliable because the purchases aren’t verified nor is the product rated numerically. Therefore this manufacturer lacks independent verification for their product. The ingredients present in the supplement are well researched and the price is reasonable. However, this manufacturer is slightly unreliable because they express the quantity some of their ingredients as a proprietary blend which masks the actual amount of each ingredient present. Furthermore, they do not have any space for honest customer feedback reviews. Given these cases, it is possible to supplement might not be entirely effective.